As the NBA elections draw near, it is important that we brace up our minds with the right attitudes and right reasons. The fundamental concern is that for the next two years, we will decide how we raise the noble Bar by the decision we make now. It will be left to us whether we want to see our noble profession attain the next level or remain a stagnant water. It is now we have the opportunity to affect the outcome of what the future holds in stock. the rule of law and good governance in Nigeria. Let us reinstate the NBA to its observer-status with the African Commission on Human and People's Rights, and protect the rights of Nigerian lawyers. Let is reposition the Bar for excellence. Let us raise the Bar with our votes for the right man for the job. Let us vote for Paul Usoro, SAN! 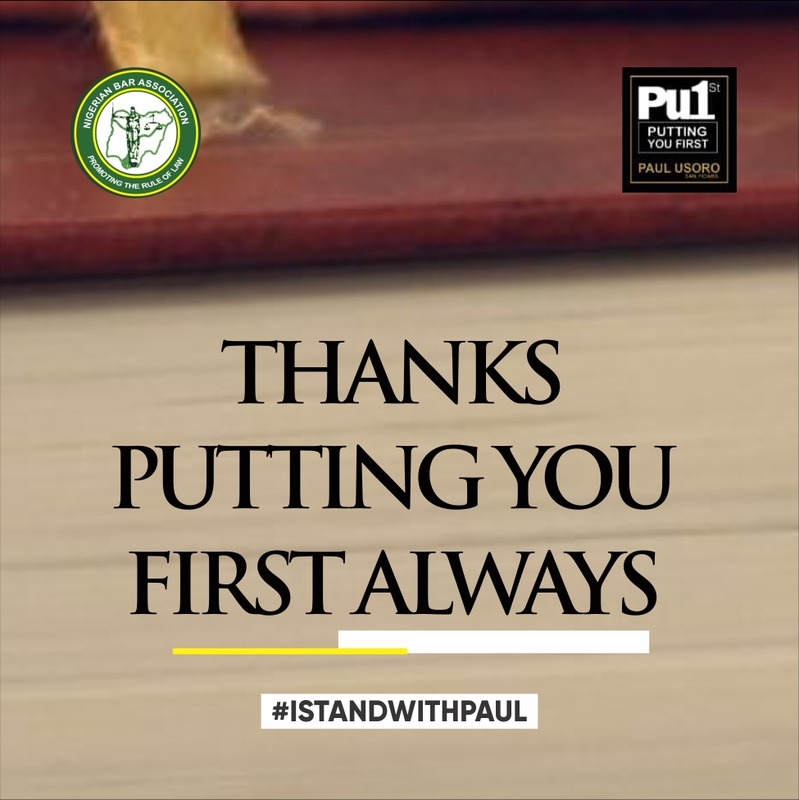 As for me, I stand with PU.